A senior leader of All India Muslim Personal Law Board, Abdul Raheem Qureshi, has ruled out the possibility of any out-of-court settlement in the Babri Masjid-Ram Janambhoomi tangle through talks and asserted that the board will challenge the Allahabad high court verdict in the Supreme Court. Another senior Muslim leader and member of Lok Sabha from Hyderabad, Asaduddin Owaisi too has said there was no question of any Muslim accepting the verdict as it was based not on the law or the Constitution but on faith or Astha. Maulana Qureshi reiterated his position that a mosque and a temple can be built side by side in Ayodhya but justice should be done to Muslims and the site where the 16th century Babri masjid was demolished on December 6, 1992 should be restored to them. 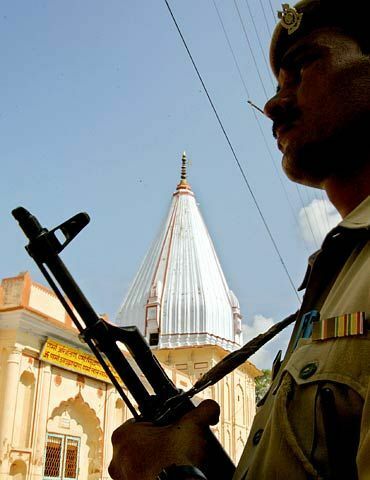 "The temple can be built on the land given to the Nirmohi Akhada," he told rediff.com. He said the legal committee of the AIMPLB will meet in New Delhi on October 9, followed by the executive committee meeting on October 16 in Lucknow, to discuss the court verdict and its implications threadbare. "Present indications are that we will appeal in Supreme Court against this verdict," he said. Owaisi, who is also a member of the board, said the board has already passed a resolution that it will make every possible effort to regain the Babri masjid site. 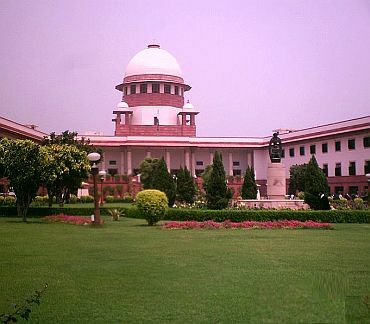 "We are not able to understand on what basis a judge has concluded that the place where the Babri masjid stood was the birthplace of Ram, when that event had taken place more than 15 lakh years ago?" he said. 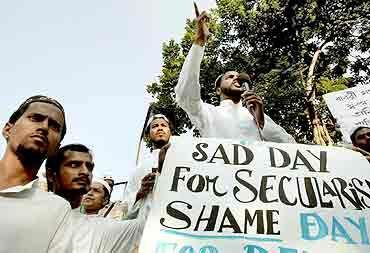 Maulana Qureshi said it was the first time that a court had passed a judgment on the basis of faith, when there was no scope for such a thing in the Indian Constitution. "Courts cannot give a verdict on the basis of the faith of any community, specially when the faith is not backed by any documentary or other evidence," he said. On the reported meeting between Mohammed Hasham Ansari, a plaintiff in the Babri masjid case, and some Hindu religious leaders to solve the issue, Maulana Qureshi said the former may be making the efforts in his individual capacity because neither the Sunni Waqf Board nor the AIMPLB had authorised him to talk on their behalf. "We don't know what he is talking about," he said, ruling out the possibility of Muslims either accepting the court verdict or withdrawing their claim on the Babri masjid. "The verdict cannot wash away the crimes committed on December 6, 1992 or on December 22, 1949, when idols were installed during the night," he said. Maulana Qureshi wondered how Muslims can withdraw their claim on a place where they offered namaz for more than 500 years and where a mosque stood. Owaisi said that court's verdict rejecting the title of Muslims on the place was incomprehensible. Muslims offered prayers there till December 1949 when idols were installed by some people by trespassing. The Muslims had filed a complaint and an FIR was registered. That is the evidence of our title," he said. Both leaders said the judicial verdict would have serious consequences for both for the country and the Muslim community and that it will provide an excuse to Hindu outfits to forcibly occupy mosques and other religious places and stake their claim on the basis of faith. "The courts can justify their actions on the basis of this verdict. 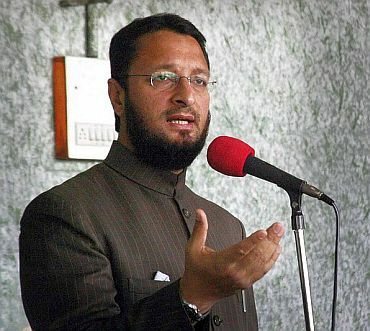 It will open the floodgates," Owaisi said. He rejected as misleading the assurance that the Places of Worship (special provisions) Act of 1991 will protect other shrines. "This is an attempt to hoodwink the Muslim community," he said. Maulana Qureshi pointed out that some Hindu organisations have already started demanding that the Muslims should hand over the Gyanvapi mosque in Benaras and the Mathura mosque to Hindus as they were temples once. "This is part of the ideology that India should become a Hindu rashtra where Muslims and other non-Hindus will not have any rights," he said.